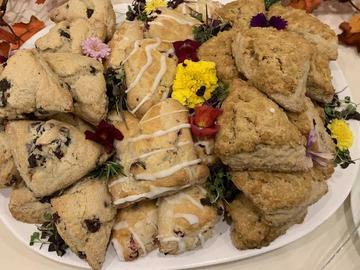 Sandra Mariah Wright and Leanne Marrama will be hosting a very special event on Sunday, April 28th, from 10:30 am to 1:00 pm: The Fourth Annual Mother's Tea: Honoring All Mothers. We will gather at the Hawthorne Hotel to pay tribute to the women we love just in time for Mother's Day. A three-course Victorian High Tea, a keepsake event photo and option to create a scrapbook page, a tea leaf reading as well as single Tarot card readings with Sandra and Leanne make this a day to remember. After the event, you can easily stroll to the lighthouse, a plethora of shops, the Museum, or any one of several historic attractions this city is known for to complete your day!